I know what you're thinking 'Now that's a splash page' right? Darn straight. 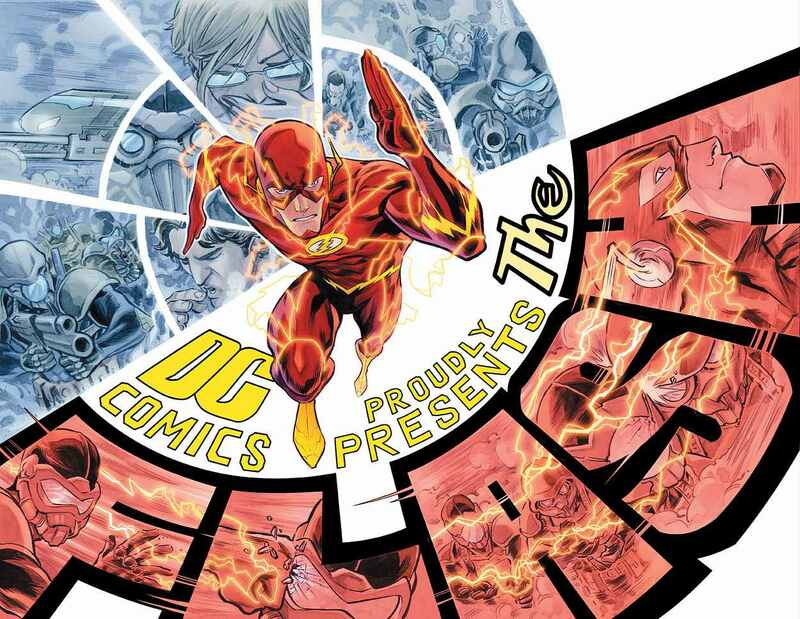 Francis Manapul's The Flash is popping out eye candy at every turn, and now he's turning that creativity to the hero's costume and train of thought. 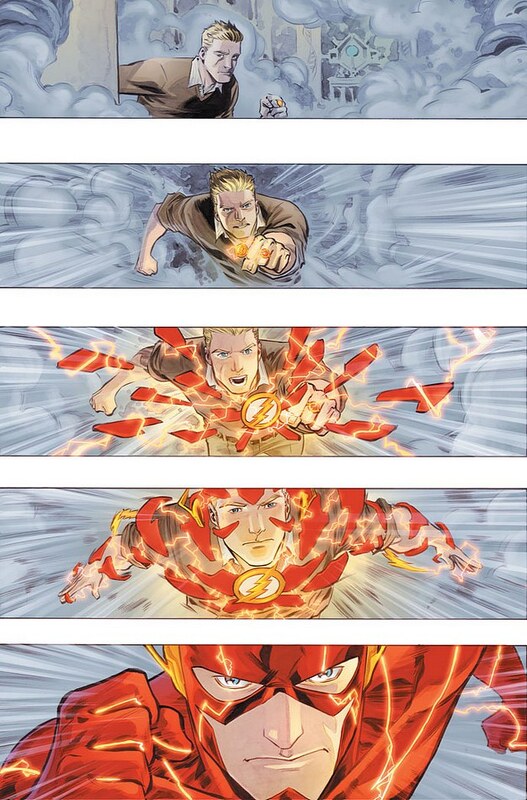 Firstly in an effort to convey how fast the post DCnU Barry Allen can think, certain moments within the title will be illustrated with a series of outcomes Barry has thought of to the situation, with the following page holding the decision he ran with. Will you chose what your hero does? 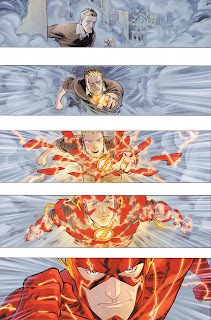 While the page on the left reveals all, here is what Manapul says about working from Jim Lee's initial designs; "There were these end seams on it and I wanted to have the costume appear in a different way. The ring will shoot out and he will run towards it. Pieces of the costume will form together and be fused by speed and electricity. And that's why, when he's running, the seams seem to light up." Small sweet tweaks that make sense - that seems to be the flavour of the new DCU! If you were a woman you whould. Imagine wearing clothes patched on energy. Point taken Aliera ;D Thanks for pointing out the more reliable benefits of cotton stitching - I learn more about the world of women every day.